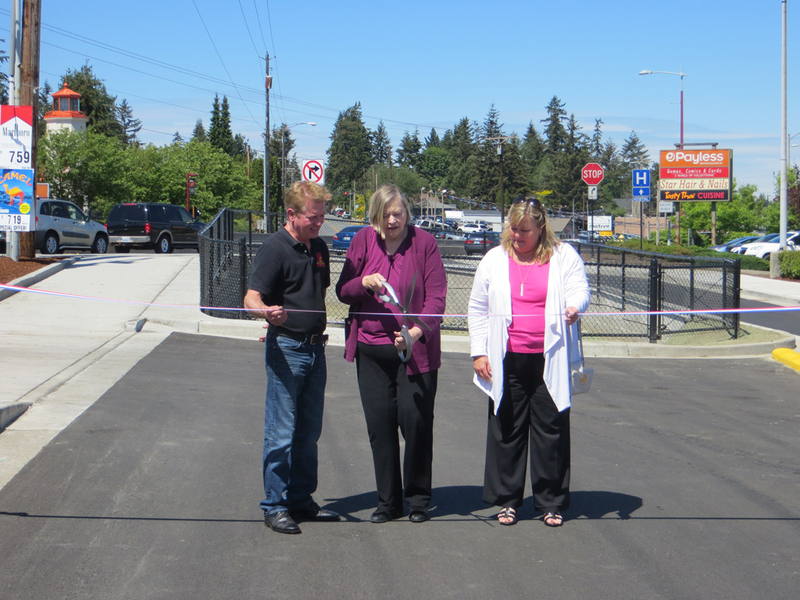 IB's Featured Projects are projects that have received funding from TIB and are significant in meeting and improving the transportation needs for the residents of Washington. 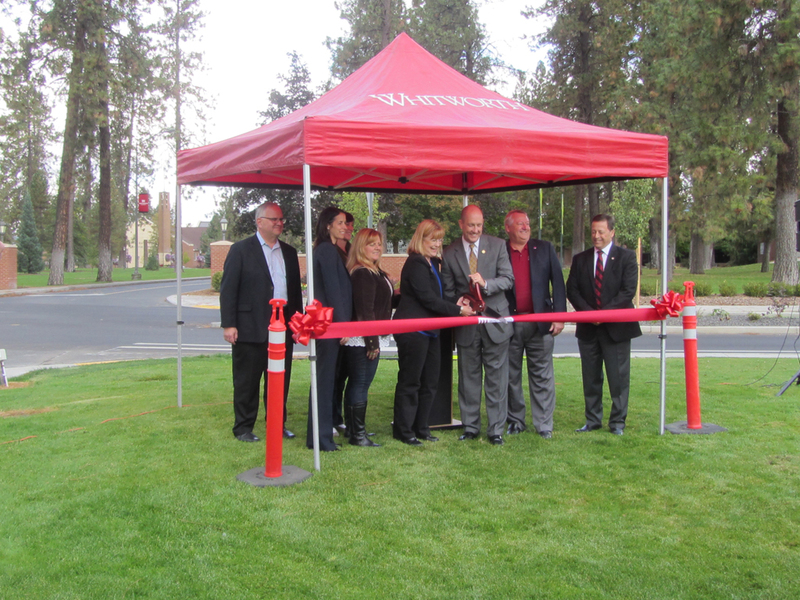 TIB recognizes the partnerships we have with our customer agencies by joining with them to celebrate special project events, like groundbreaking and ribbon cutting ceremonies. Many of these events are covered by our featured projects. 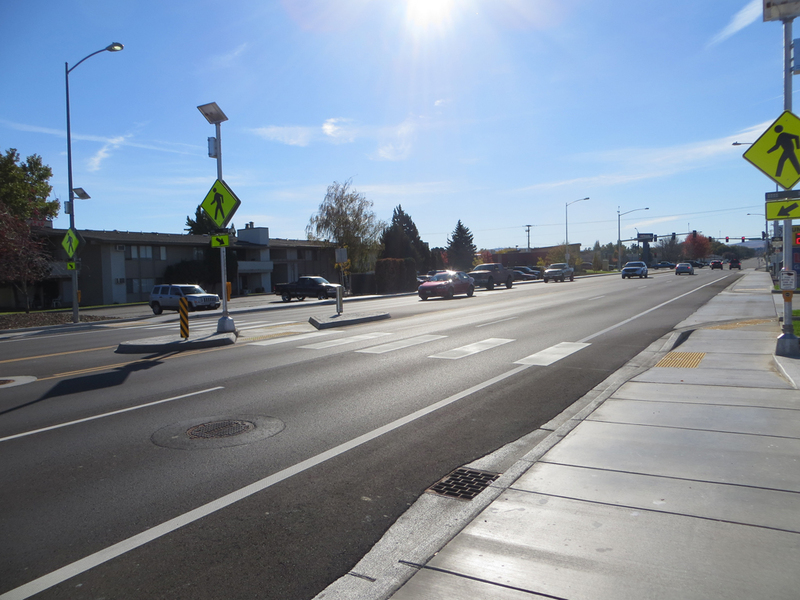 The City of SeaTac's 28th/24th Avenue S project was selected for funding in November 2013. 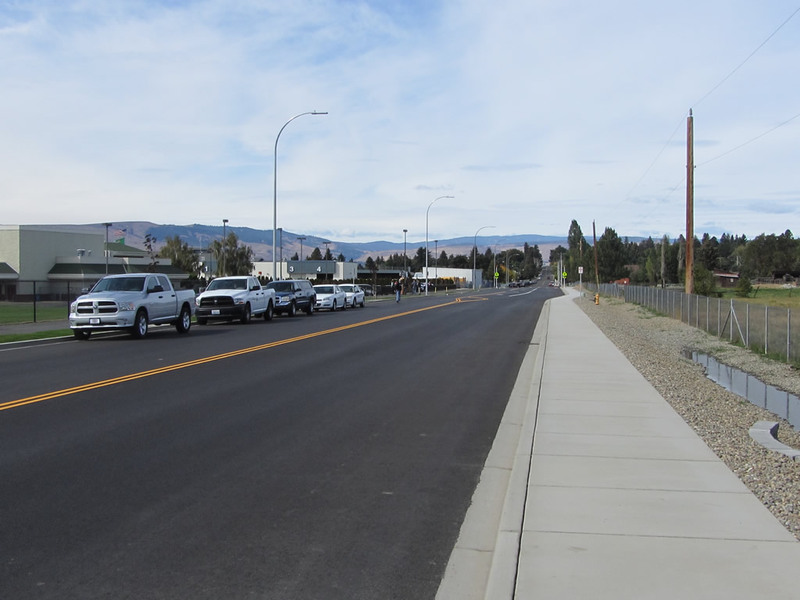 TIB contributed $4,568,627 in funding toward the $22,077,888 total cost of the project. 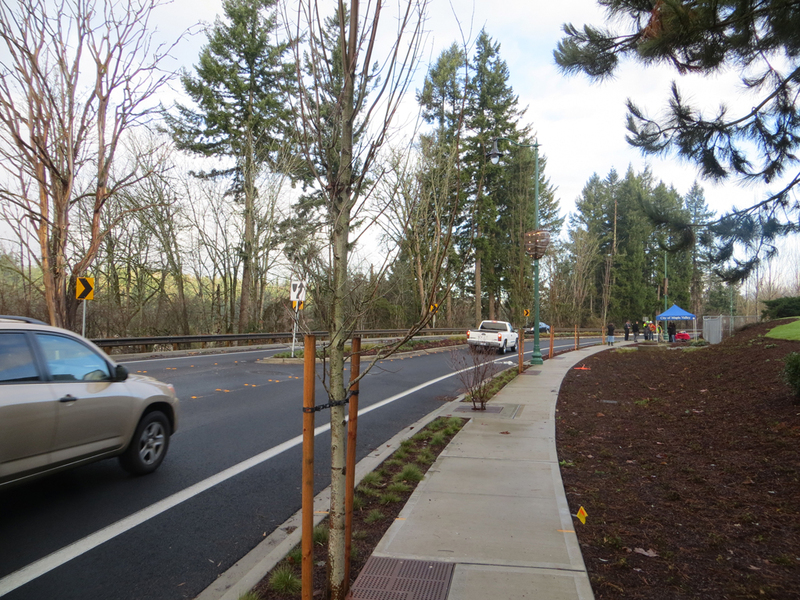 This project constructs a new roadway linking S 200th Street to S 208th Street. 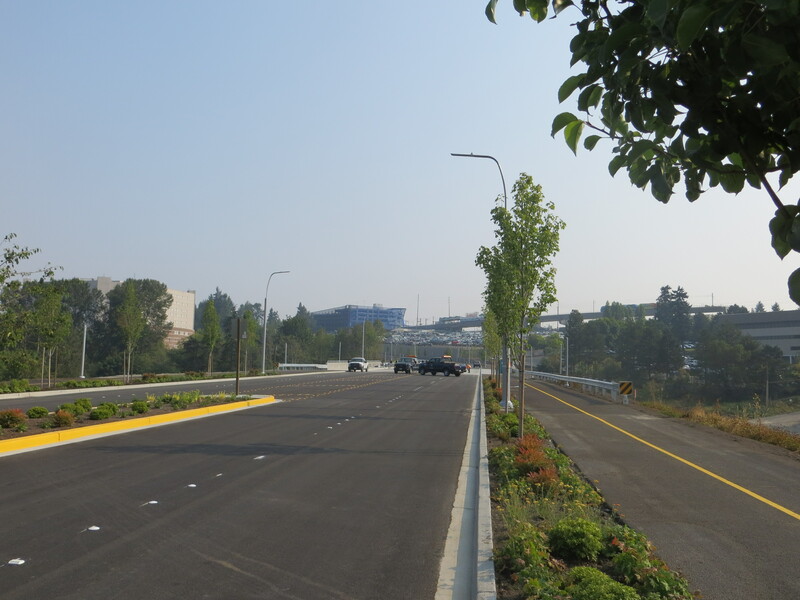 The project will include four travel lanes, a landscaped median with turn pockets, curb, gutter, shared-use path for bicycles and pedestrians, low impact development storm water collection and treatment facilities, retaining walls, channelization, landscaping and underground utilities. 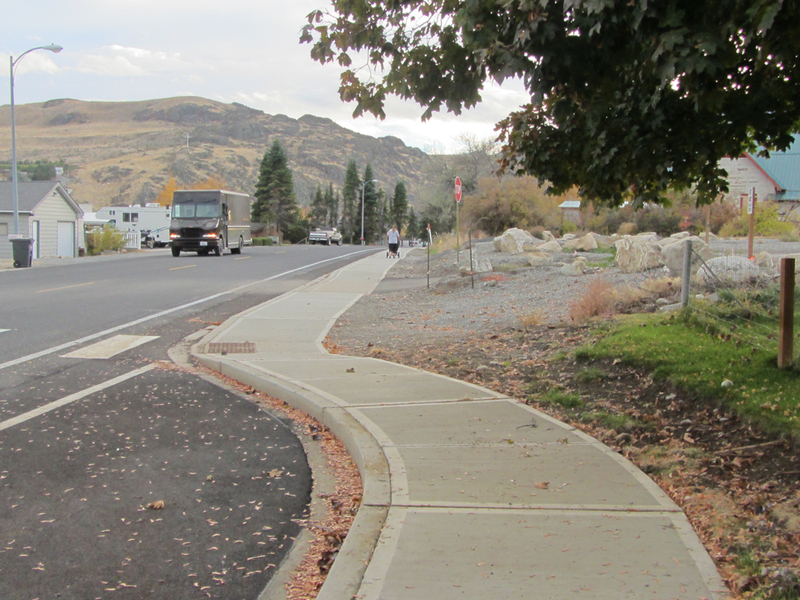 The City of Pateros's Warren Avenue project was selected for funding in November 2013. 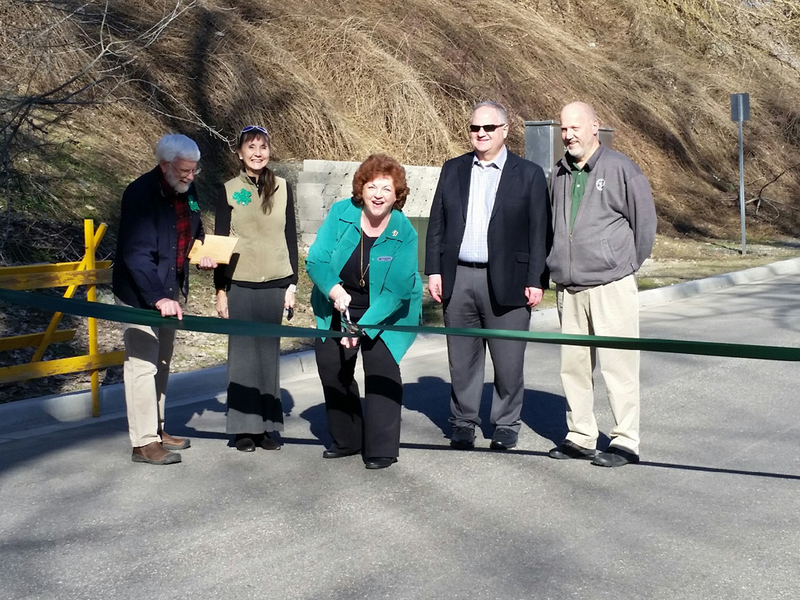 TIB contributed $314,706 in funding toward the $326,299 total cost of the project. 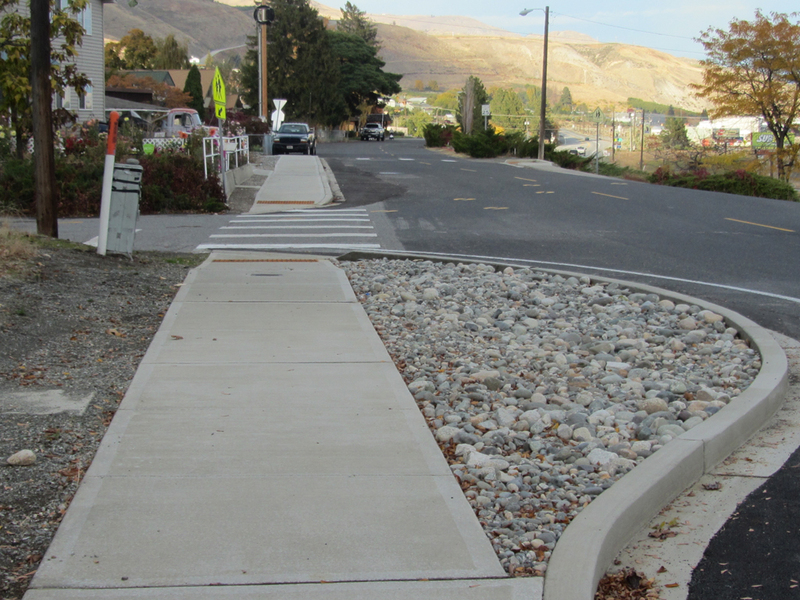 The project constructs new curb, gutter and six-foot sidewalk on one side of the street. 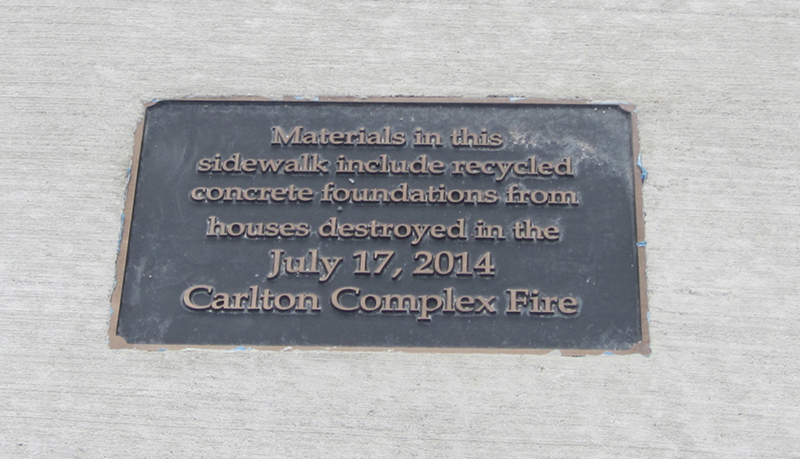 The sidewalk connects to existing sidewalk leading to the downtown area. 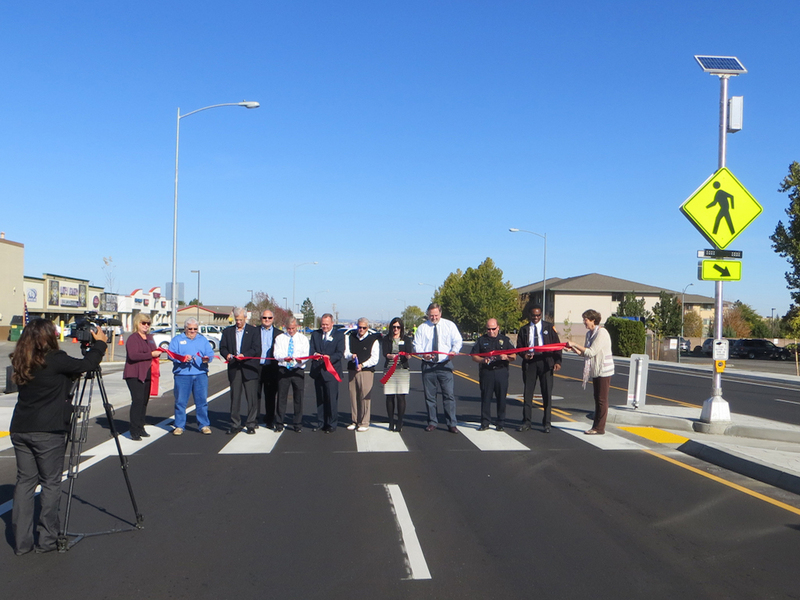 Other improvements include installing ADA-compliant ramps and crosswalk striping. 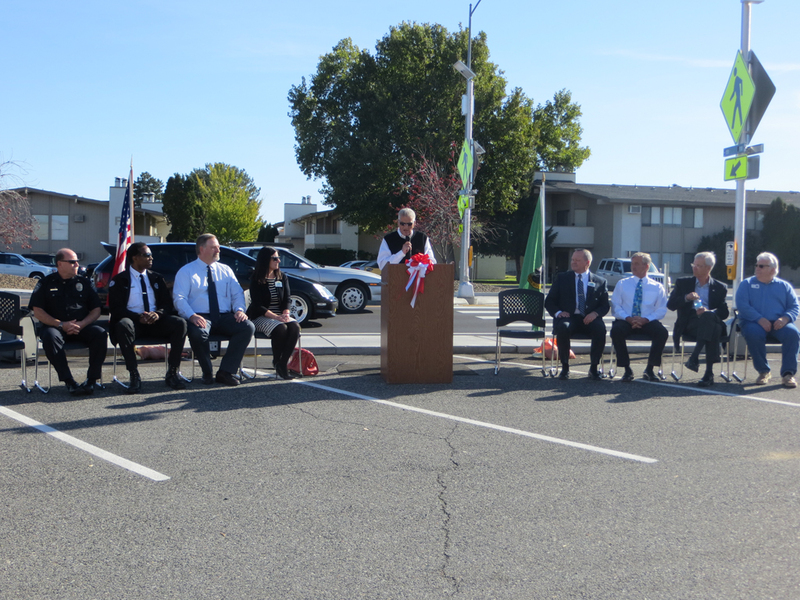 The City of Kennewick's Edison Street project was selected for funding in November 2010. 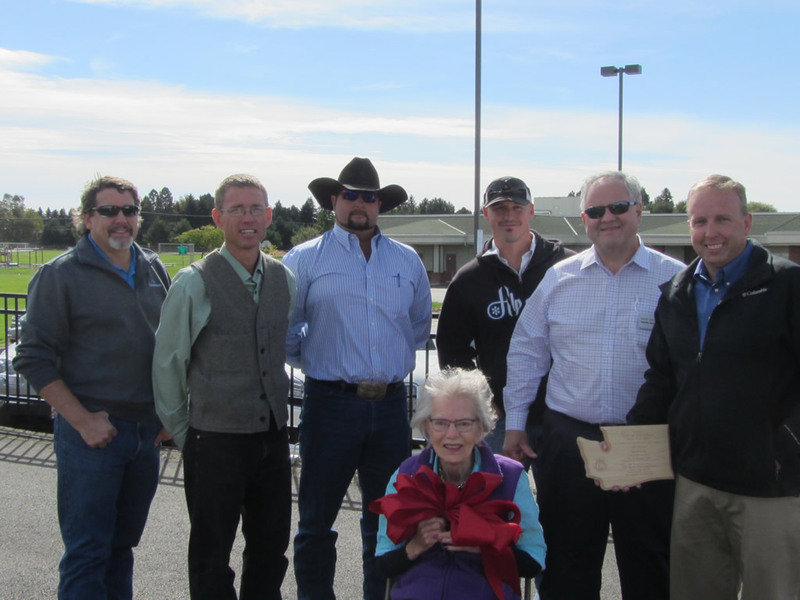 TIB contributed $1,170,000 in funding toward the $2,750,498 total cost of the project. 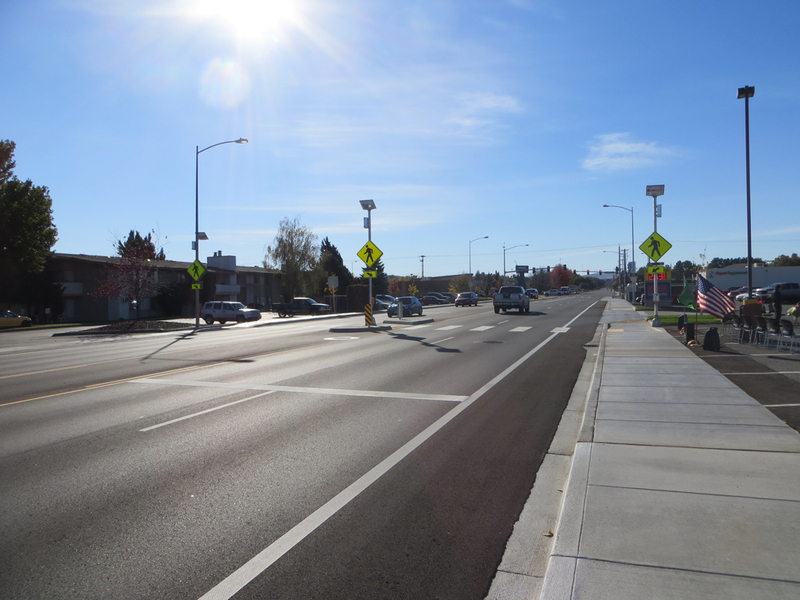 This project will reconstruct the existing roadway to include four travel lanes, a center left-turn lane, bicycle lanes, curb and gutter, and sidewalks. 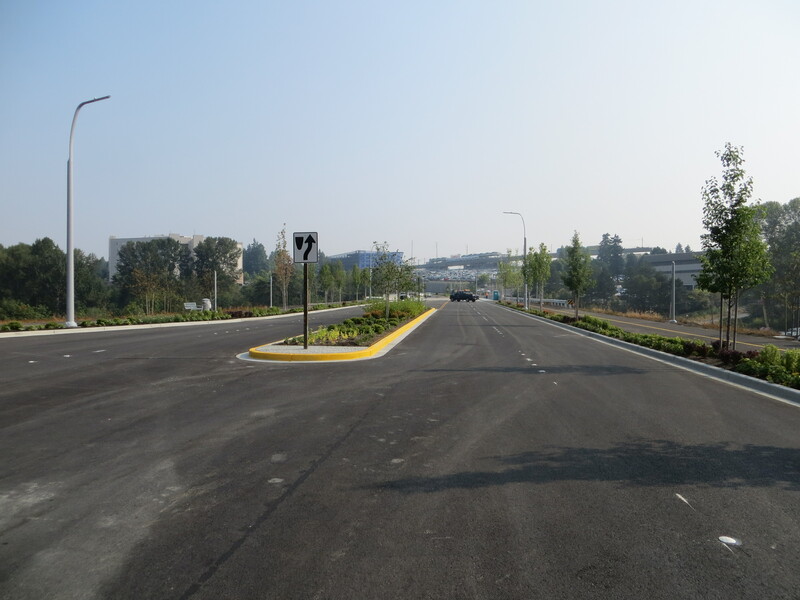 Included in the project will be modification of the traffic signals at both ends. 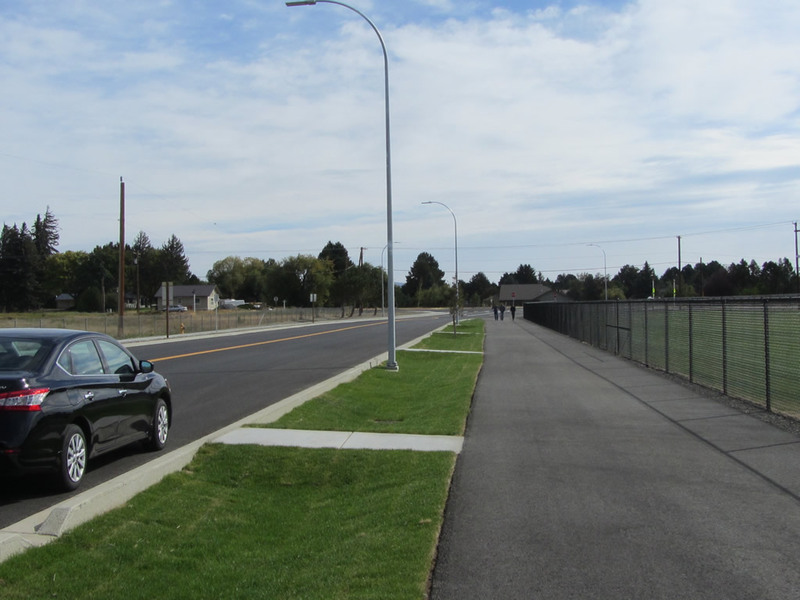 The City of Richland's Duportail Extension project was selected for funding in November 2013. TIB contributed $1,819,442 in funding toward the $1,957,520 total cost of the project. 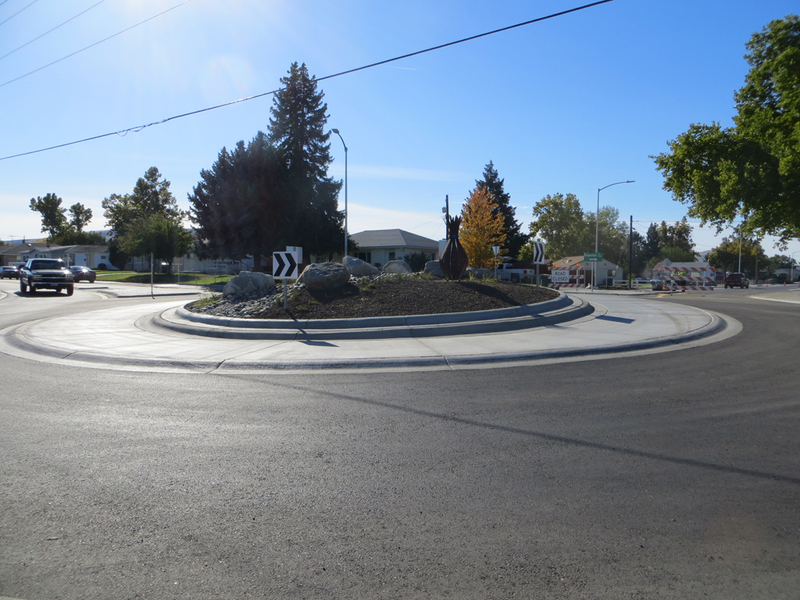 The project reconfigures the Thayer Drive/Duportail Street intersection with a single-lane roundabout. 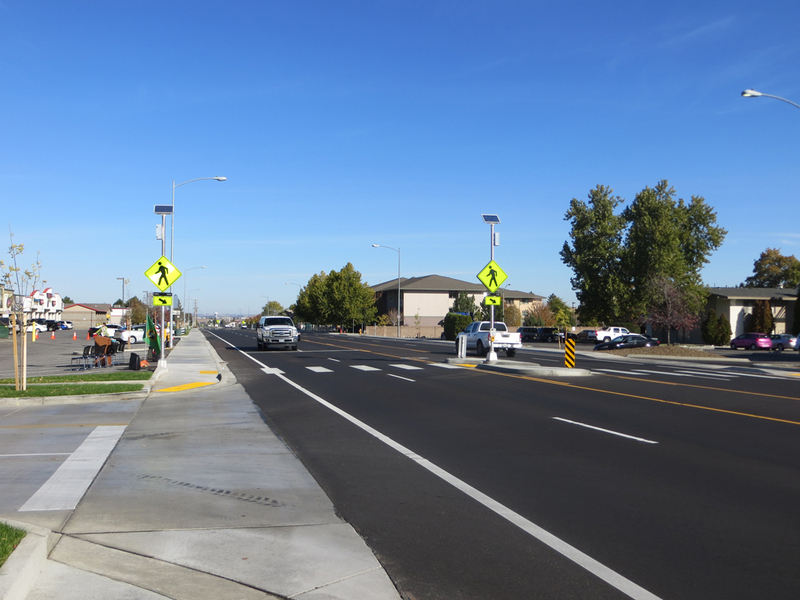 Duportail Street will extend from Thayer Drive to Wellhouse Loop to provide two travel lanes, a two-way center left turn lane, bike lanes and sidewalk on both sides of the street. 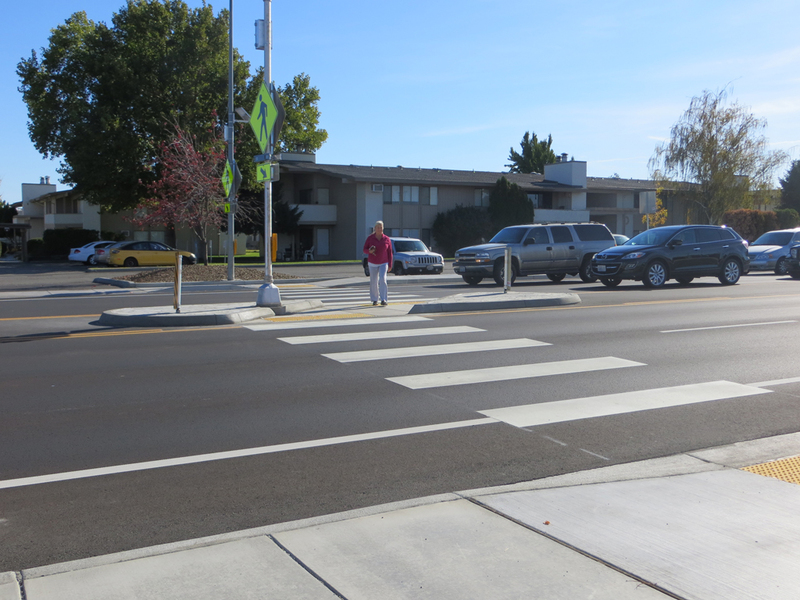 A new signal will also be constructed at the intersection of Duportail Street and Wellsian Way. 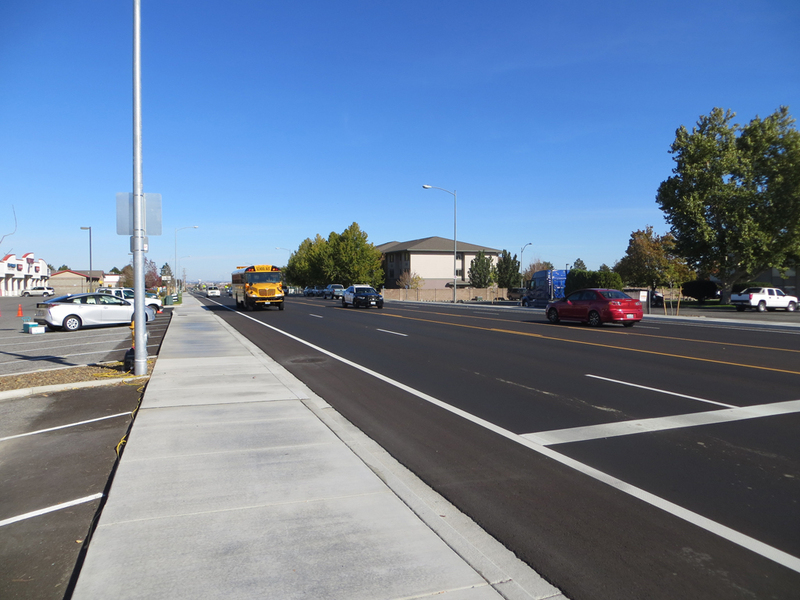 Spokane County's Hawthorne Road project was selected for funding in November 2015. 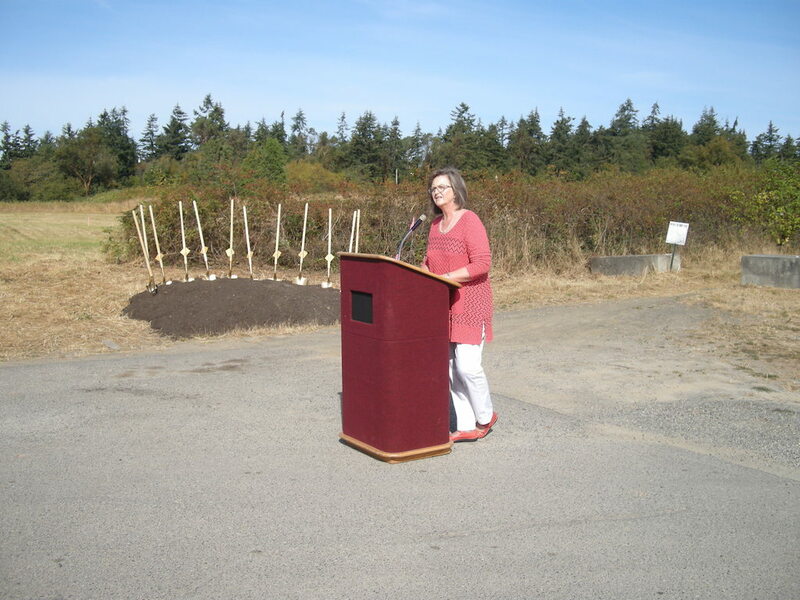 TIB contributed $768,654 in funding toward the $1,421,700 total cost of the project. The county originally proposed full depth reclamation with cement treated base. Constructability of an FDR section is compromised because of meandering medians and swales. 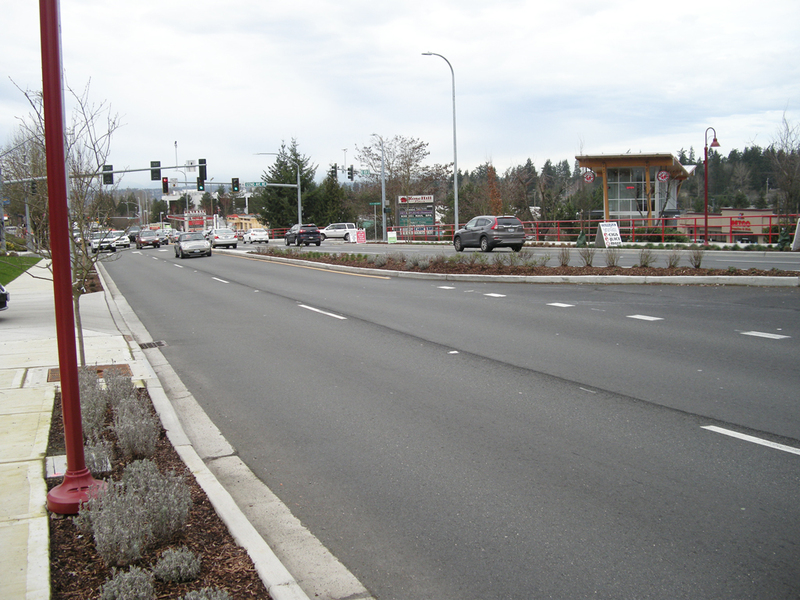 The section is Landscaped median and swales provide stormwater collection and treatment. 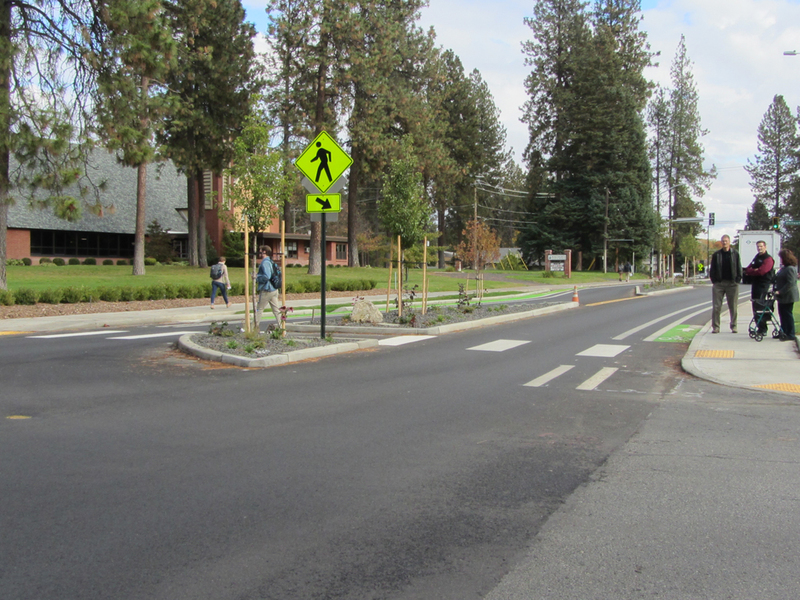 Center turn lanes at intersections allow for uninterrupted traffic flow. 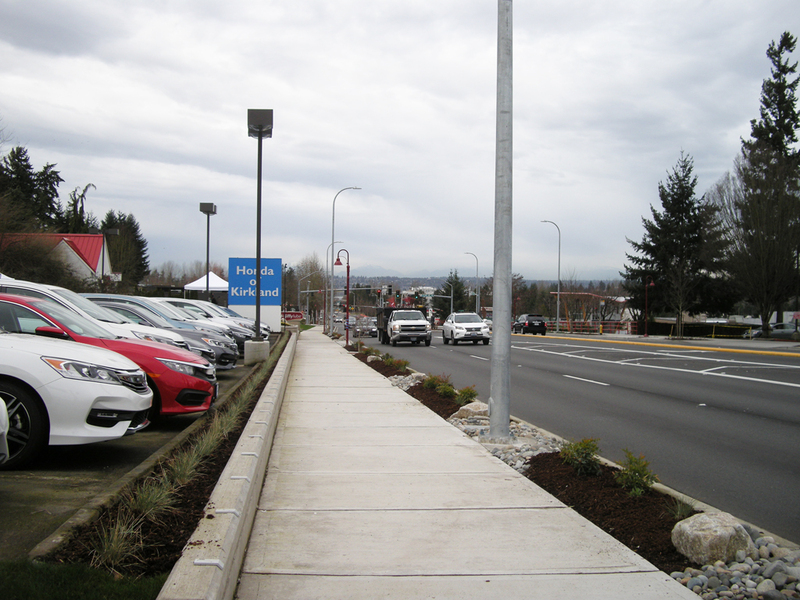 The landscaped median improves the corridor aesthetics and provides pedestrian refuge. The scope includes upgrade of all non-compliant ADA ramps. 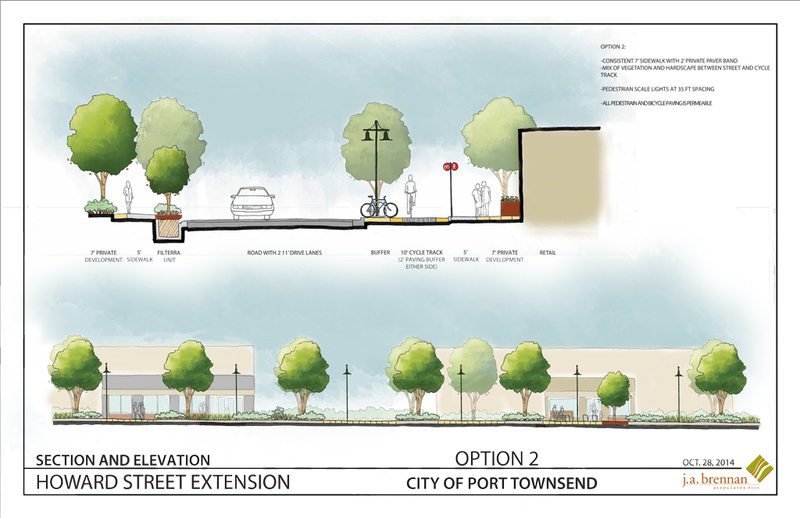 The City of Port Townsend's Howard Street project was selected for funding in November 2012. 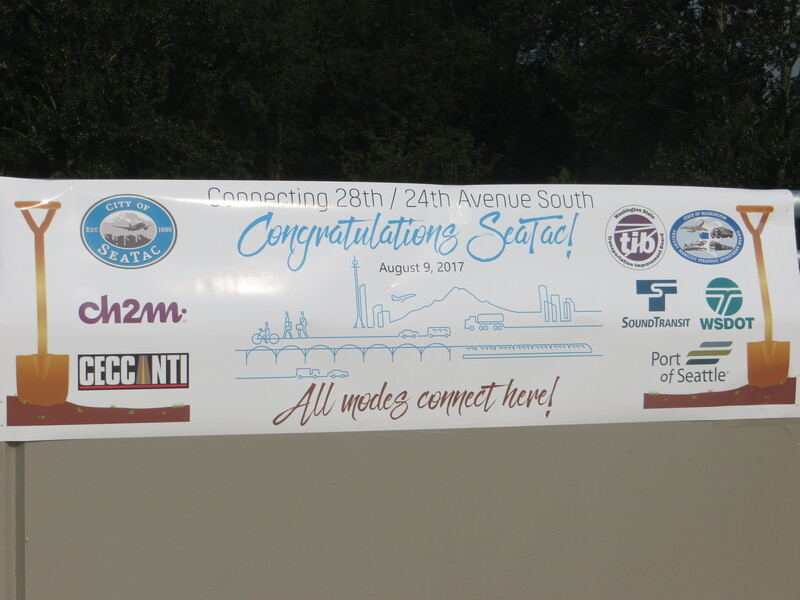 TIB contributed $2,233,301 in funding toward the $4,742,485 total cost of the project. 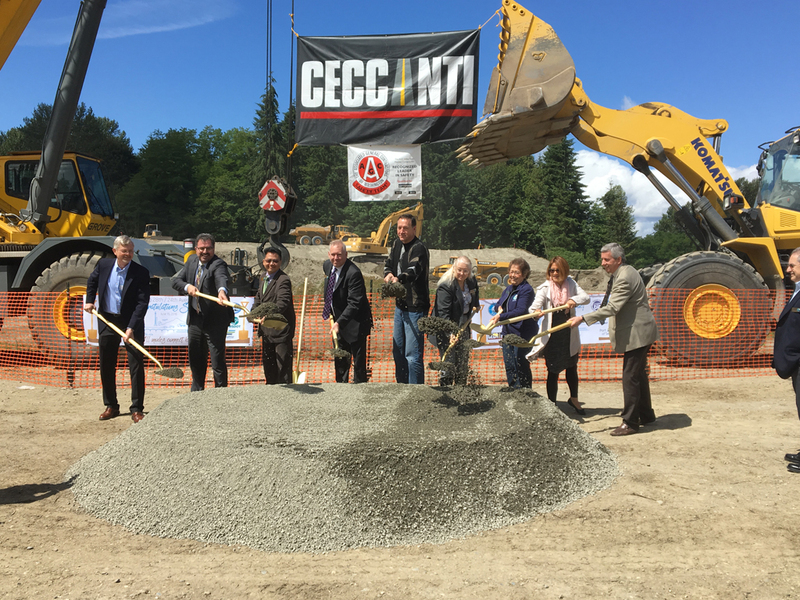 This project constructs approximately 1,700 feet of new arterial street connecting SR 20 to Discovery Road. 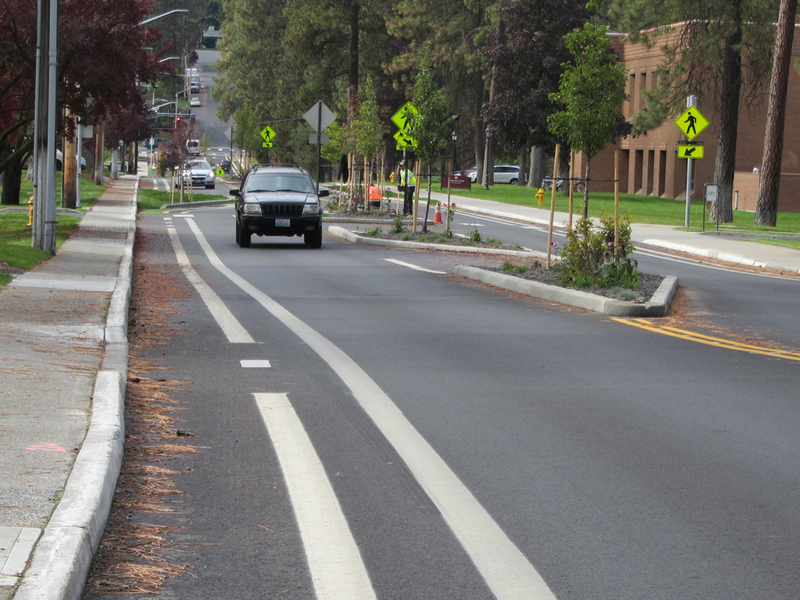 The street will have two travel lanes, bike lanes, curb, gutter, sidewalks, and planter strips. 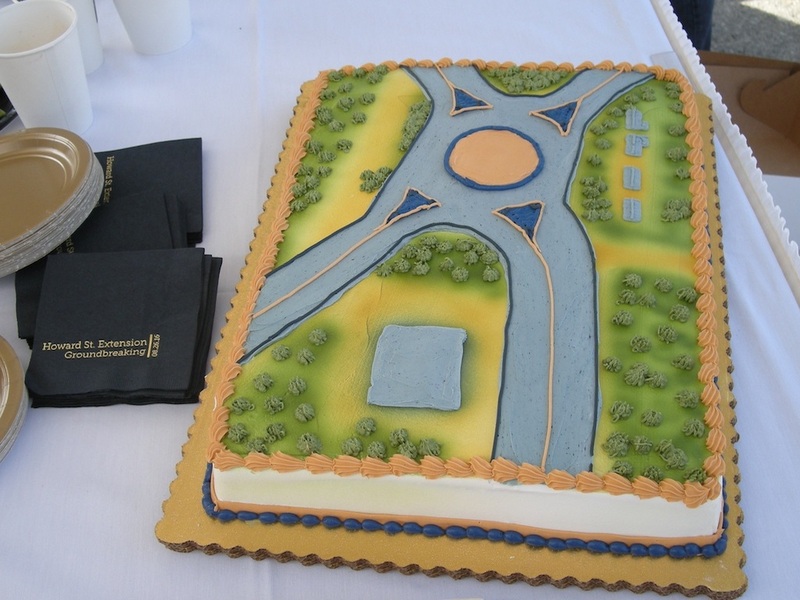 A new roundabout will be constructed at the intersection of Howard Street and Discovery Road. 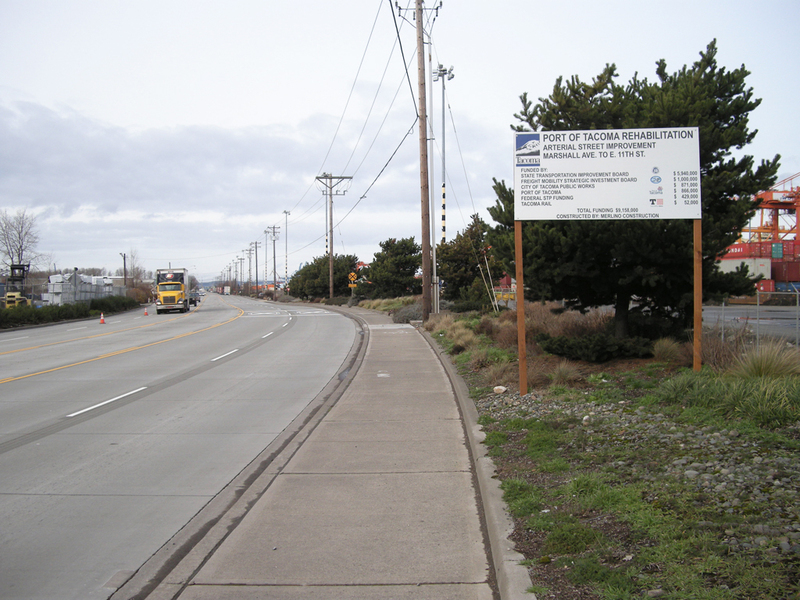 The City of Edmonds's 228th Street SW/SR 99 project was selected for funding in November 2013. TIB contributed $1,493,503 in funding toward the $5,986,040 total cost of the project. 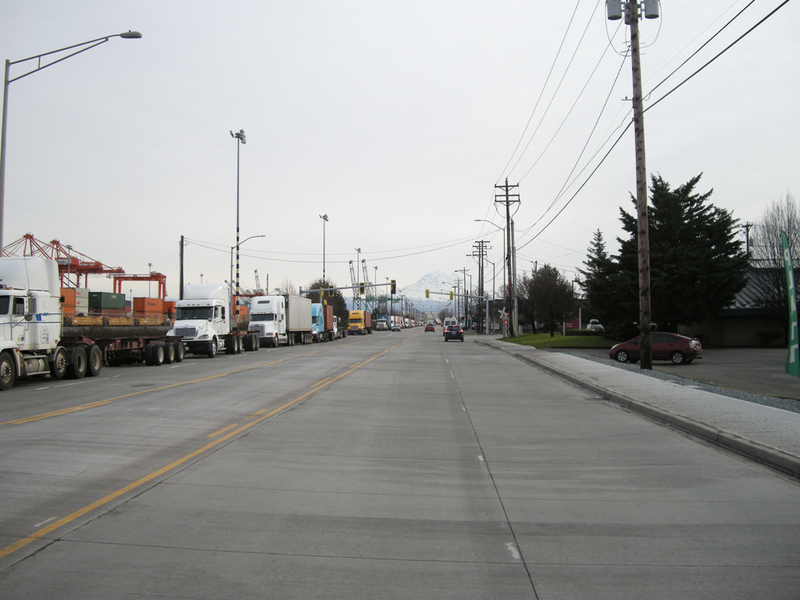 This project constructs the missing segment of 228th Street SW between SR 99 and 76th Avenue W and a new signal will be added at SR 99. 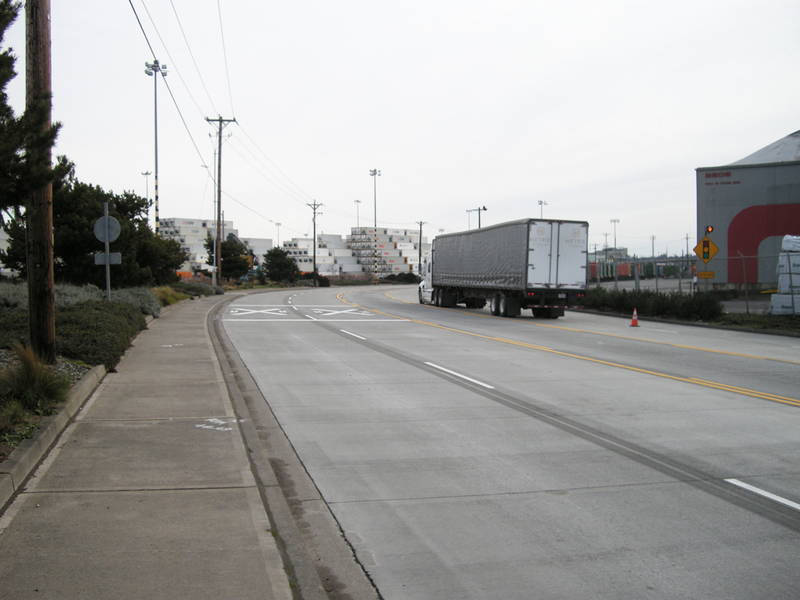 The intersection of 76th Ave W and SR 99 will be reconfigured to eliminate left turn movement and a center median will be added on SR 99 to restrict access. 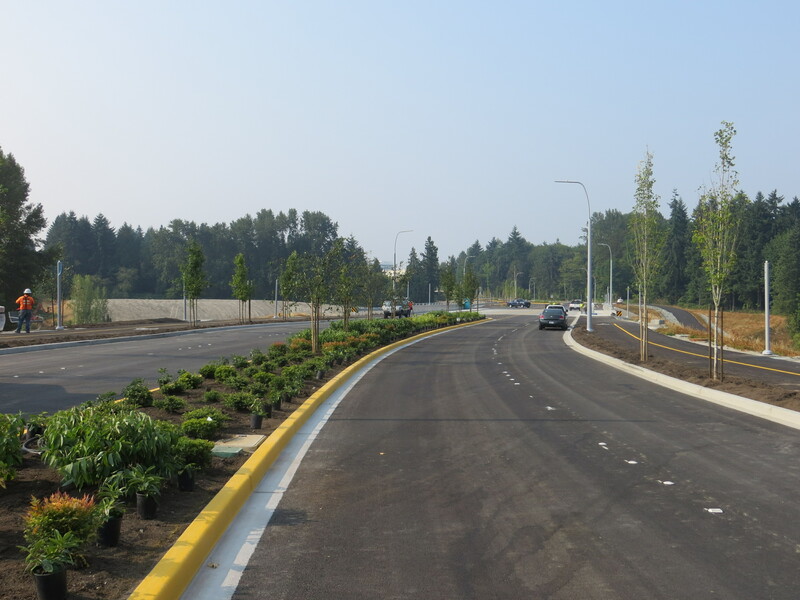 In addition, bike lanes, sidewalks and illumination will be added to both sides of 228th Street and the storm water systems will be improved using detention vault, infiltration galleries and a bio-swale. 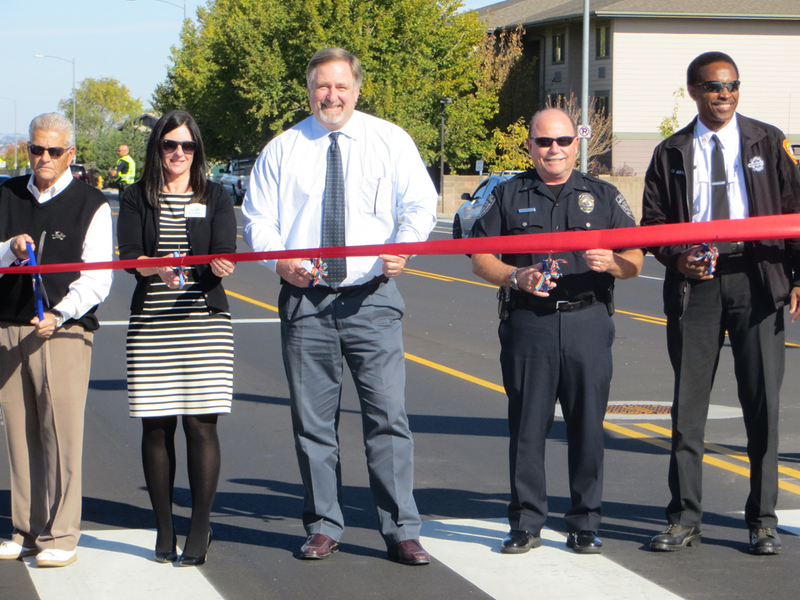 The City of Leavenworth's Commercial Street project was selected for funding in November 2013. 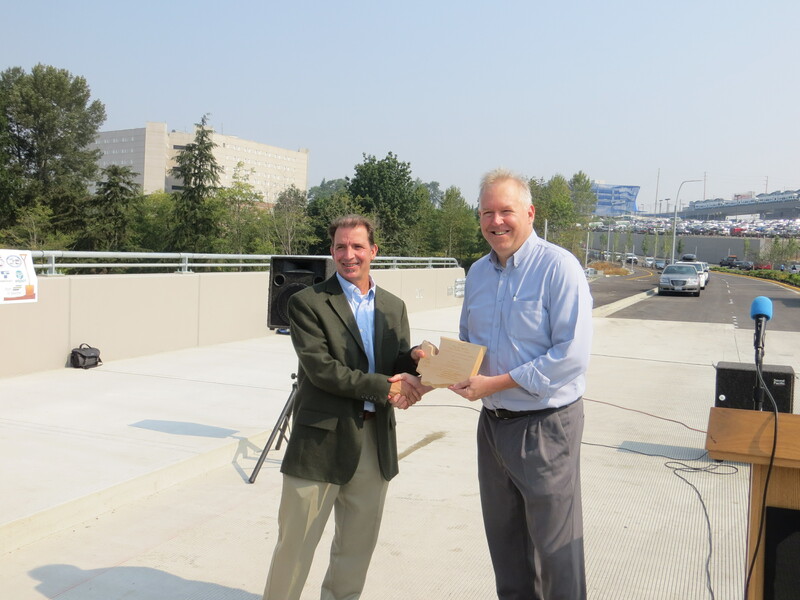 TIB contributed $585,261 in funding toward the $1,271,799 total cost of the project. 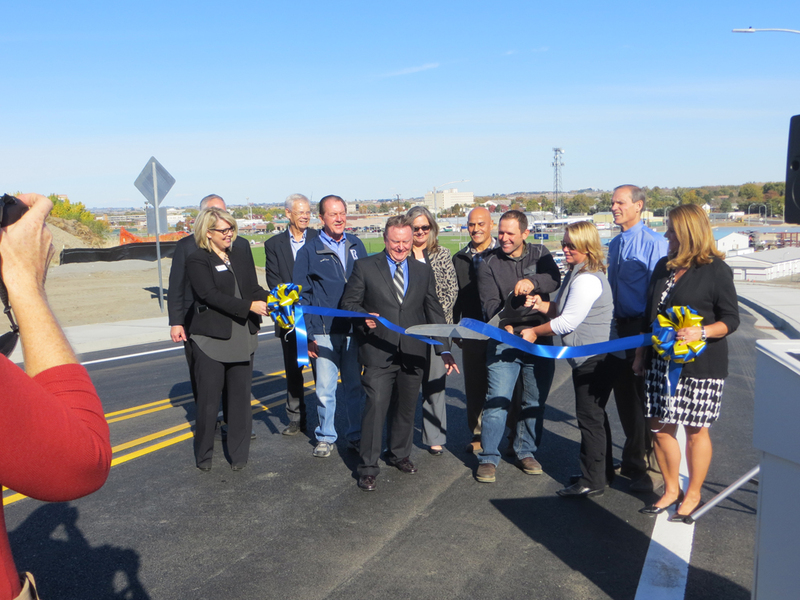 The project reconstructs the roadway to provide two travel lanes and sidewalk on one side. A retaining wall will be built to allow for the wider section. The project also includes an illumination system and drainage improvements. 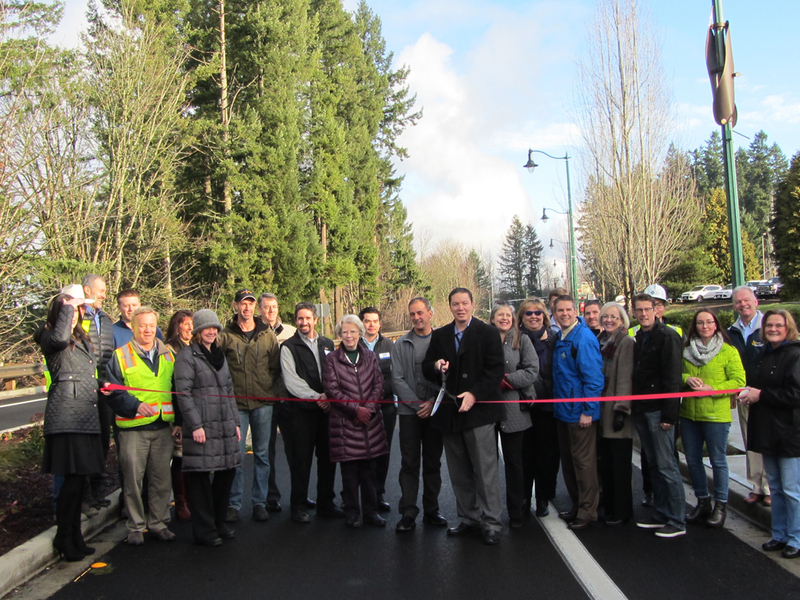 The City of Kirkland's NE 85th Street (Construction Only) project was selected for funding in November 2013. 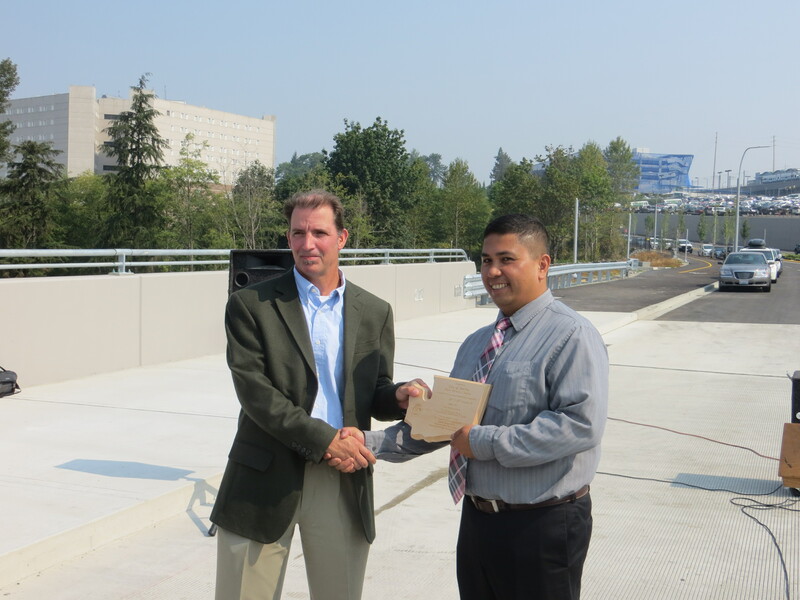 TIB contributed $1,667,500 in funding toward the $5,934,786 total cost of the project. 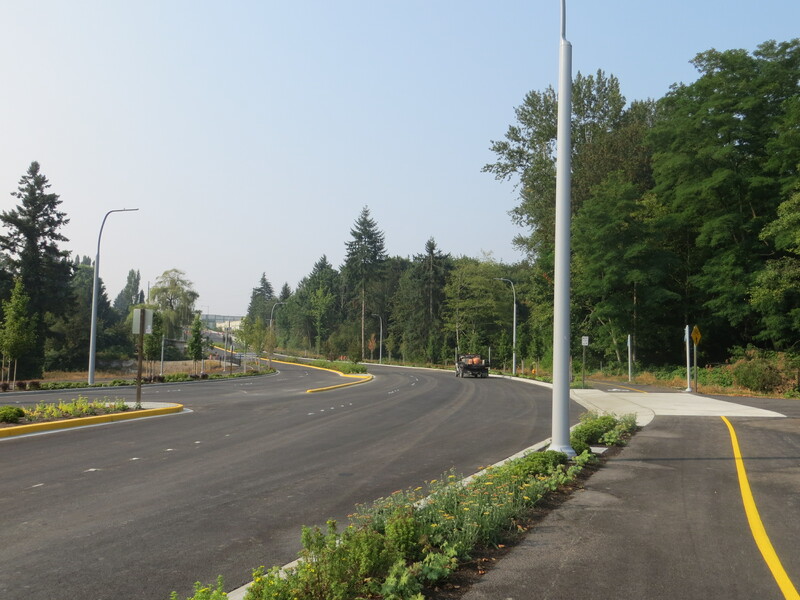 This project reconstructs NE 85th Street with four travel lanes, a center median, curb, gutter, a landscaped strip and seven-foot sidewalks. 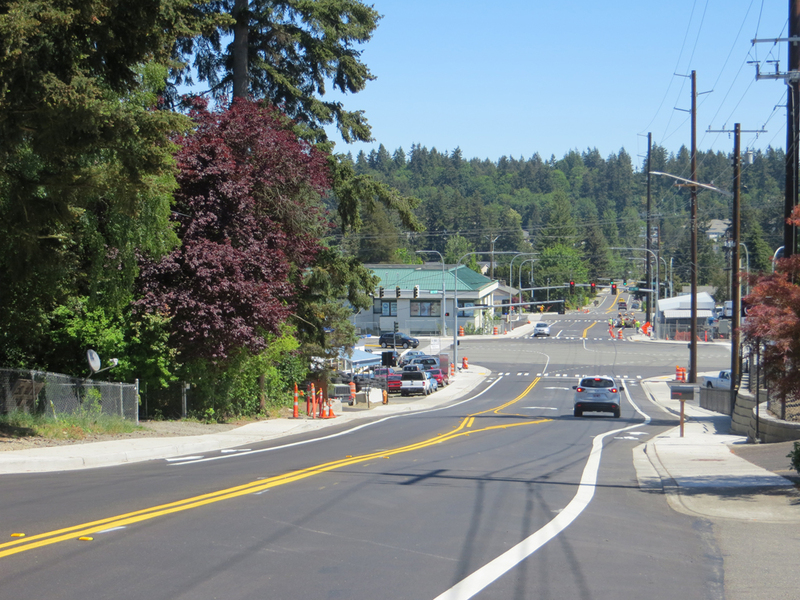 In addition, right turn lanes at key intersection traffic signals will be upgraded and connected to Kirkland's traffic management center. 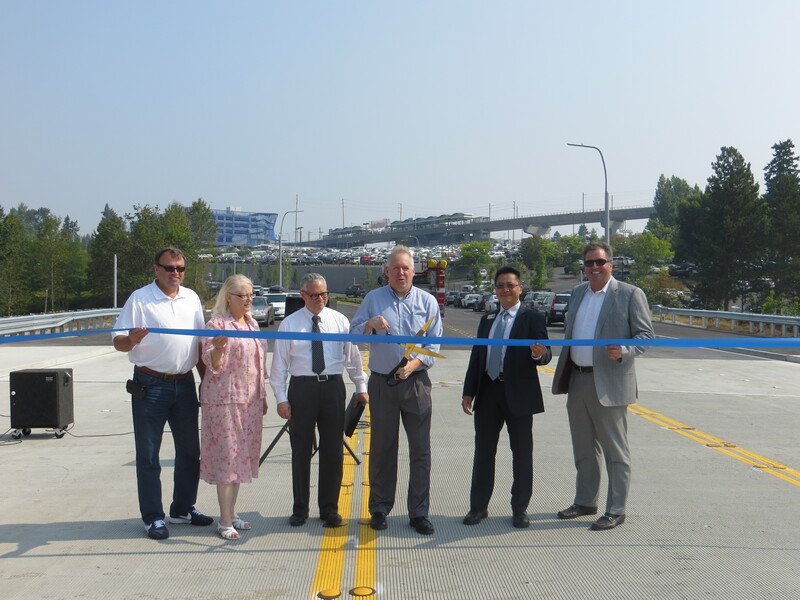 The City of Tacoma's Port of Tacoma Road project was selected for funding in November 2014. TIB contributed $6,364,494 in funding toward the $9,237,820 total cost of the project. 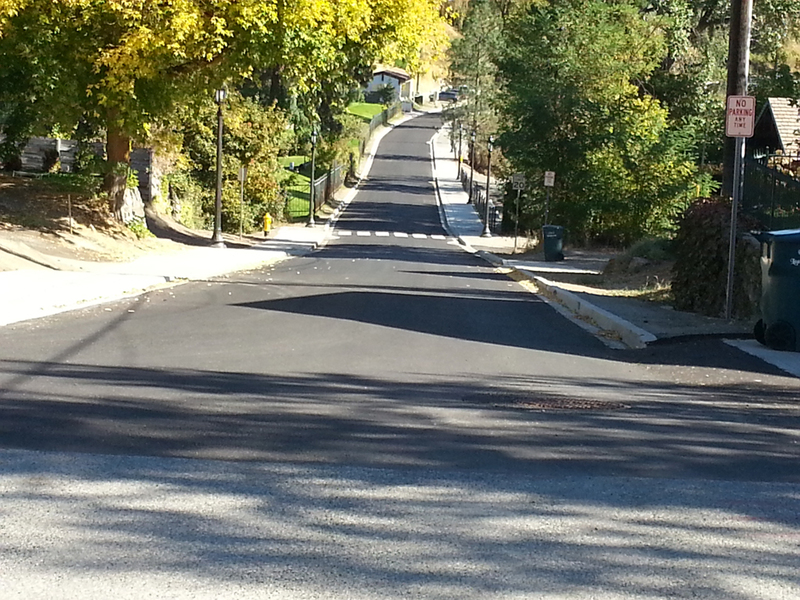 This project will replace the failing asphalt with a ten-inch cement concrete pavement surface from curb to curb. 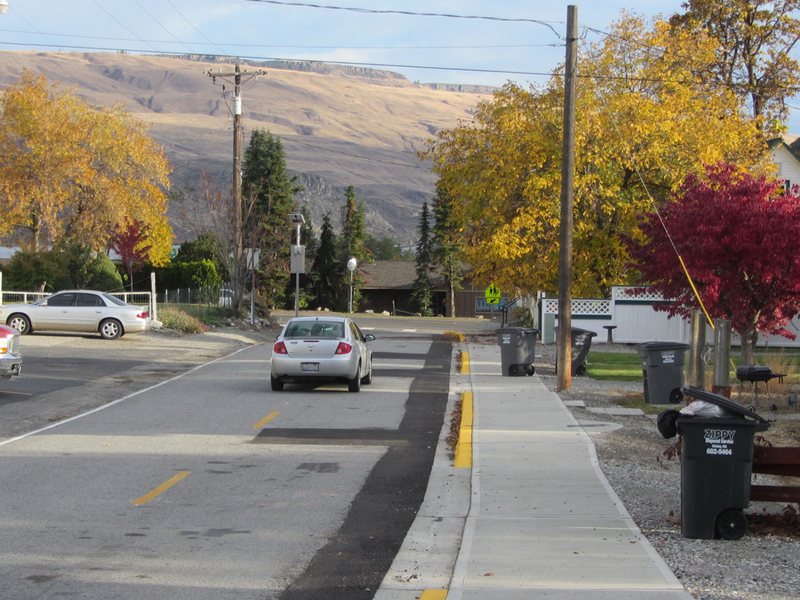 ADA ramps and driveways will be upgraded as needed, curb and gutter will be replaced as needed. The temporary signal near Lincoln Avenue will be replaced with a permanent signal, and the railroad will partner with the city to replace the railroad crossing and tracks. 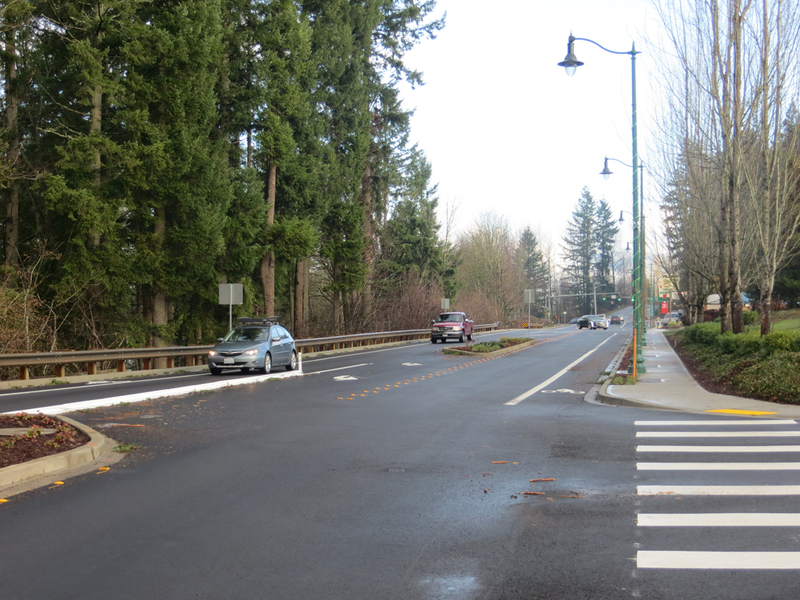 The City of Maple Valley's Witte Road SE project was selected for funding in November 2014. TIB contributed $1,284,687 in funding toward the $2,104,143 total cost of the project. 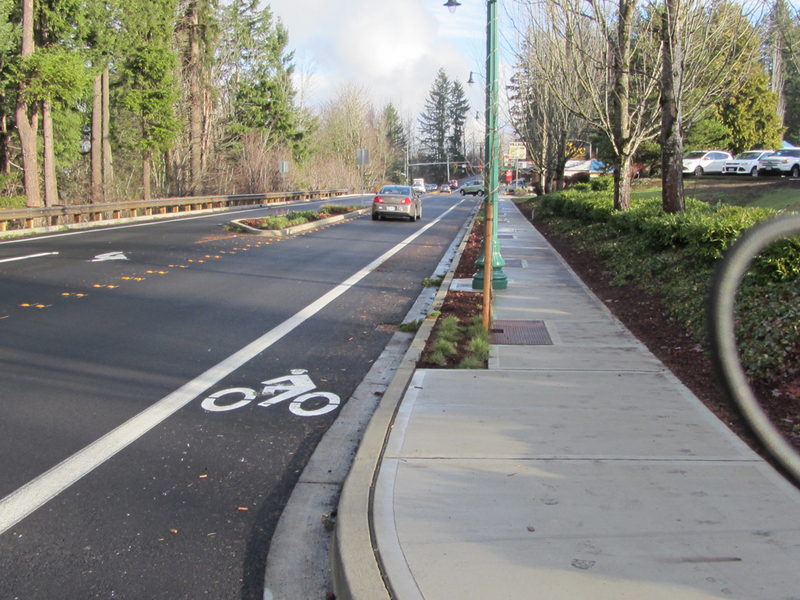 This project constructs two travel lanes, a two-way left-turn lane, bike lane, planter strip, curb, gutter and sidewalk along the west side of Witte Road between SE 240th Street and SR 169. 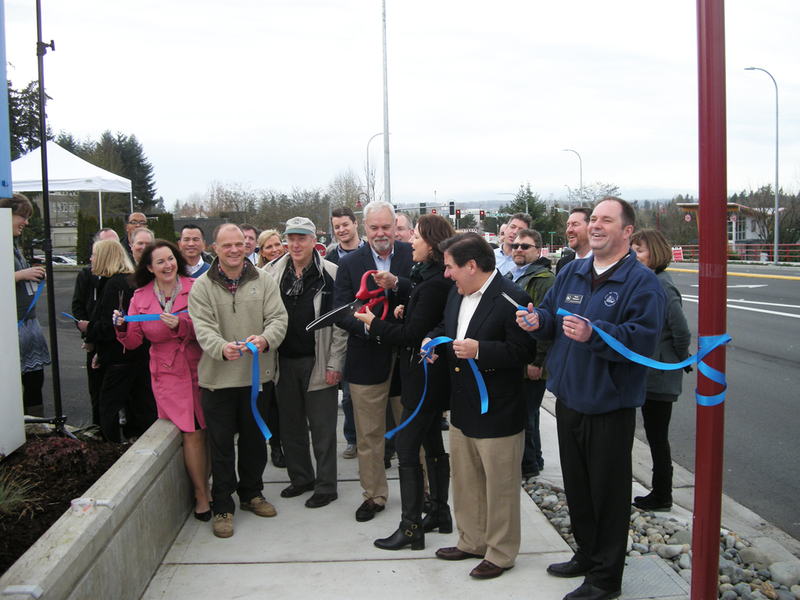 In addition, the project installs LED streetlights and adds an enhanced LID stormwater system. 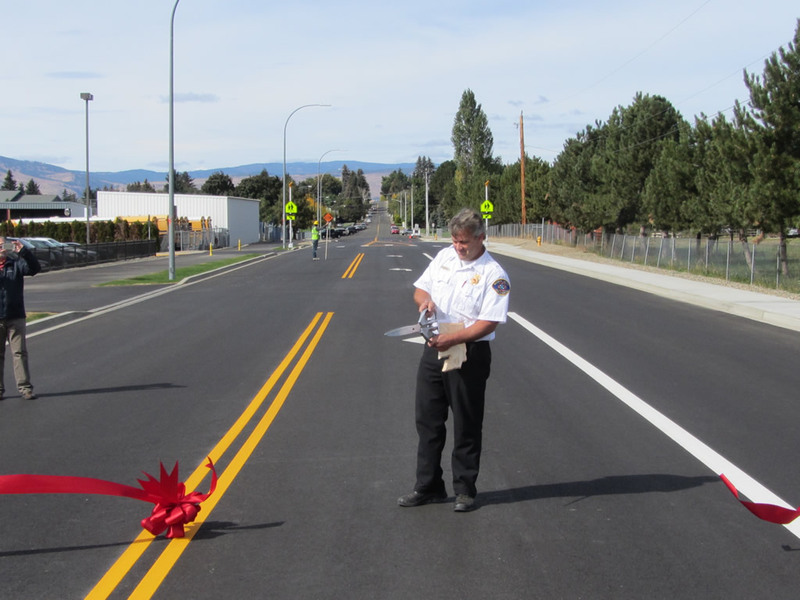 The City of Ellensburg's 3rd Avenue project was selected for funding in November 2013. TIB contributed $770,785 in funding toward the $1,211,202 total cost of the project. 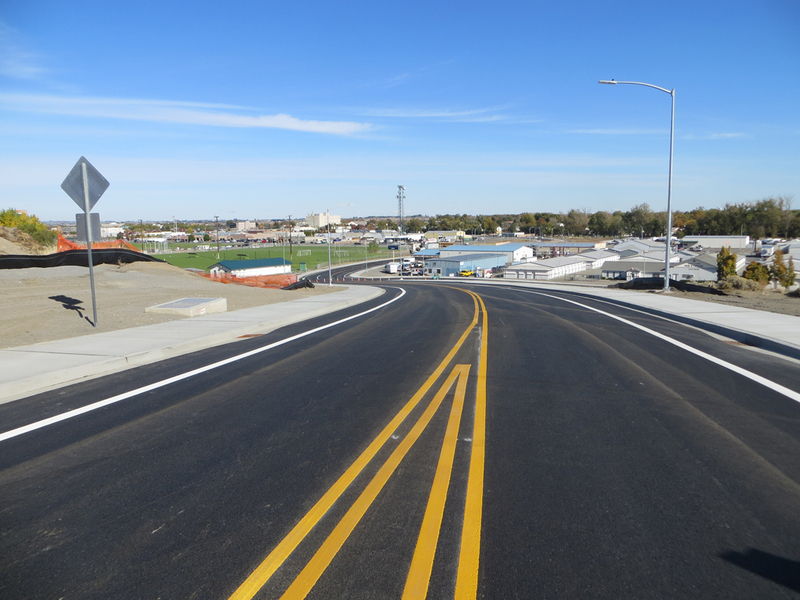 This project reconstructs Third Avenue along the school and extends Third Avenue 900 feet east to connect with Pfenning Road. 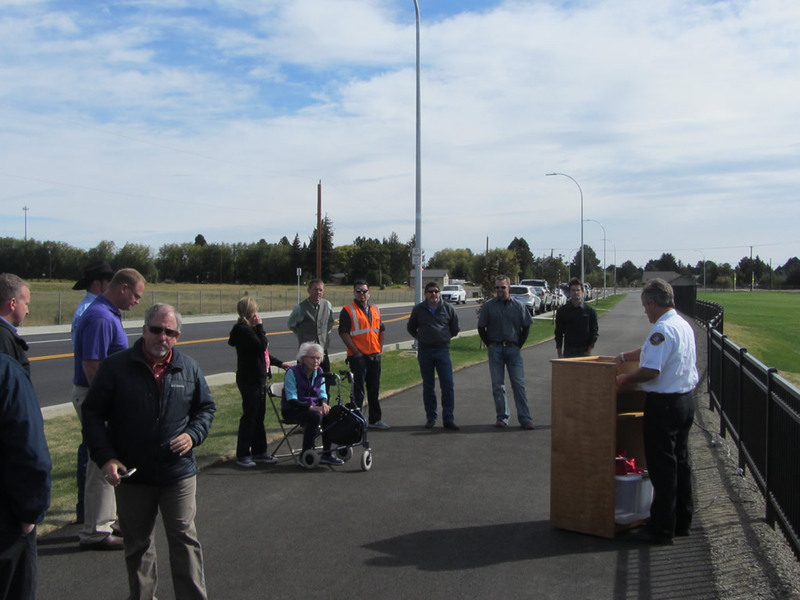 The roadway section will include two travel lanes, parking lanes, a 14-foot multi-use pathway on the south side of the road and a six-foot sidewalk on the north side. In addition, this project installs a storm drainage system utilizing low impact development practices and LED street lights. he TIB on-line project information database contains data on projects funded by the Transportation Improvement Board between FY 1983 and the present. To search for a project, make your choices from the search criteria below. Looking for a specific TIB project? Enter a TIB project number (14 characters) in the box below to look up a specific TIB project. For more information on TIB funded projects, view the TIB Performance Dashboard.